The world’s top professional cyclists struggle to make it round the Tour de France, so what chance does a schoolteacher have? Michael Dunne hopes to ride a 117-mile course starting at Gap, in south west France, climbing three gruelling mountain passes, and finishing on the summit of Alpe d’ Huez. The 33-year-old is participating the Etape du Tour on July 10, which is a replica of stage 15 in this year’s Tour de France. He will ride with about 8,500 amateur cyclists from around the world. 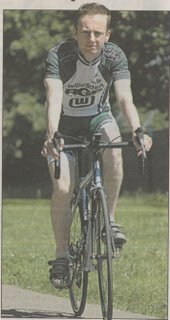 Michael, a transition teacher at St Mary’s RC Primary School, Canterbury Road, Kilburn, said: “I have always been a fan of the Tour de France and after running the Flora London Marathon last year I was looking for a new challenge. “Once I learned this year’s Etape finishes on Alpe d’Huez, cycling’s most famous mountain, I was determined to participate as the route changes every year and the opportunity might not arise again for several years. 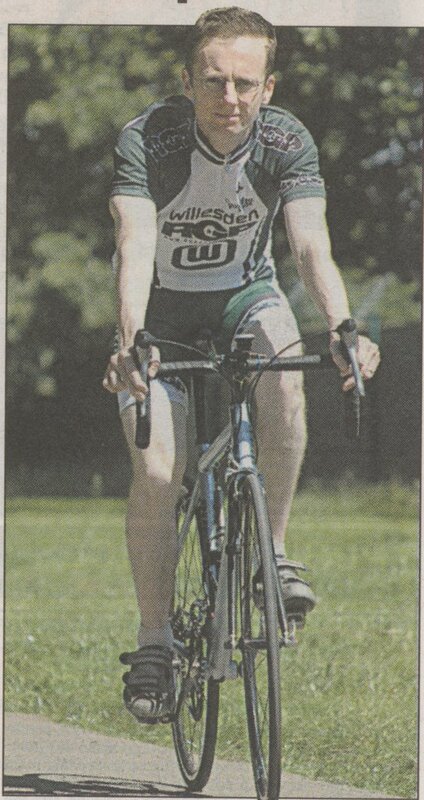 Michael, a member of the Willesden Cycling Club, has trained for seven months and cannot wait for the event to begin. He said: “I have been told that the atmosphere is fantastic among the cyclists and crowds line the route to cheer you on. To sponsor Michael visit www justgiving.com/michaeldunne.